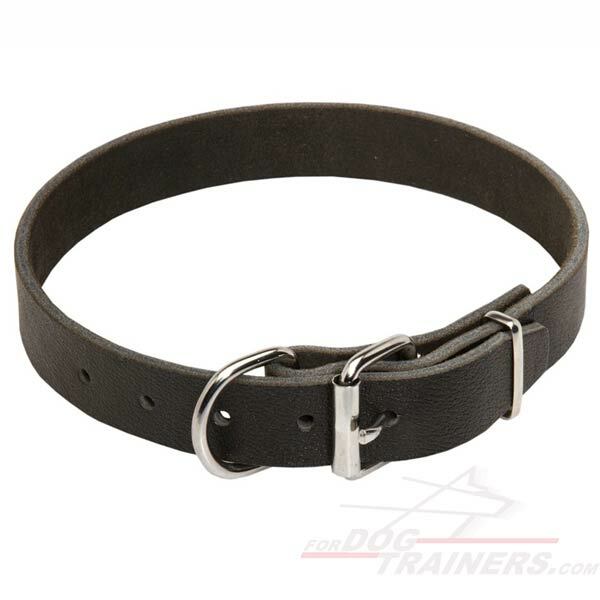 This Leather Collar with smooth surface is a good choice for owners, who are a little conservative about the Collar's design. Indeed, luxury looking decoration may be inappropriate in some situations. However, Classy Leather Collar with traditional design will be always suitable and stylish. 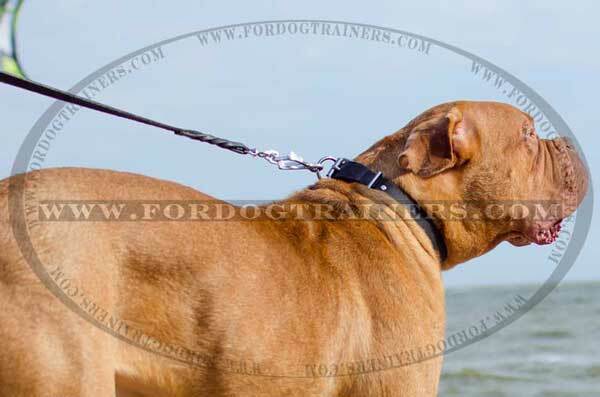 This Incredibly Strong Collar is perfect both for long walking and training sessions with your dog. 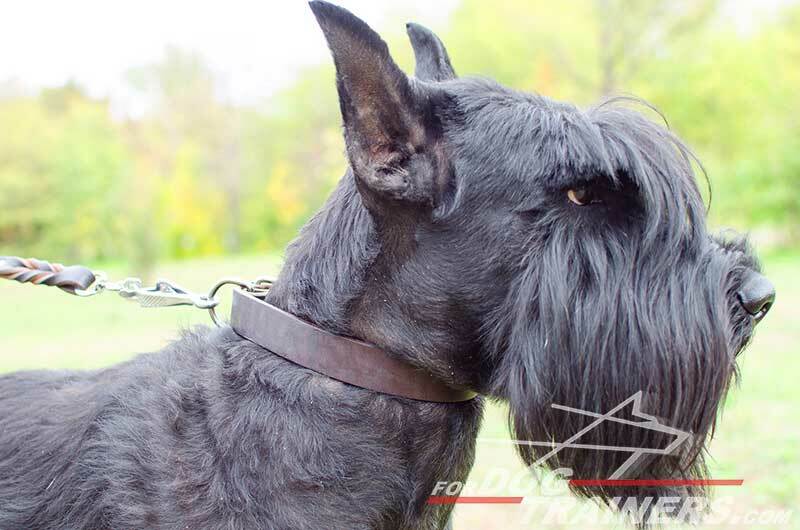 Your dog deserves to have First-class Leather Collar and we are happy to offer it to you! This Collar is 5 ways adjustable. 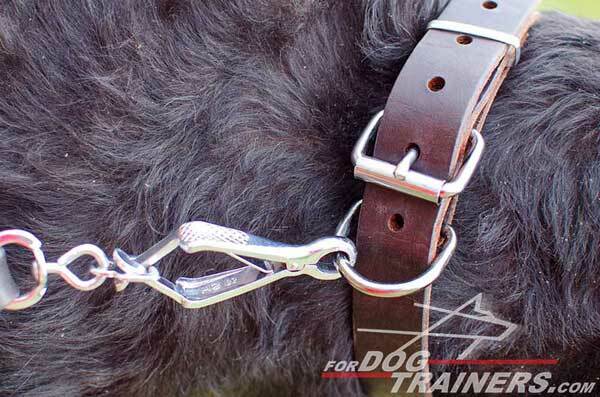 There are 5 holes, so if your dog grows, put on weigh or vice versa lost it, you will be able to adjust it according to the new neck's size of your doggie. Isn't it great? There is no need to buy new Collar! Please, before making your order read the table "How to measure your dog for good fit Collar" to find out more details about the appropriate size for your dog. This Collar is made of best, perfectly oiled leather. 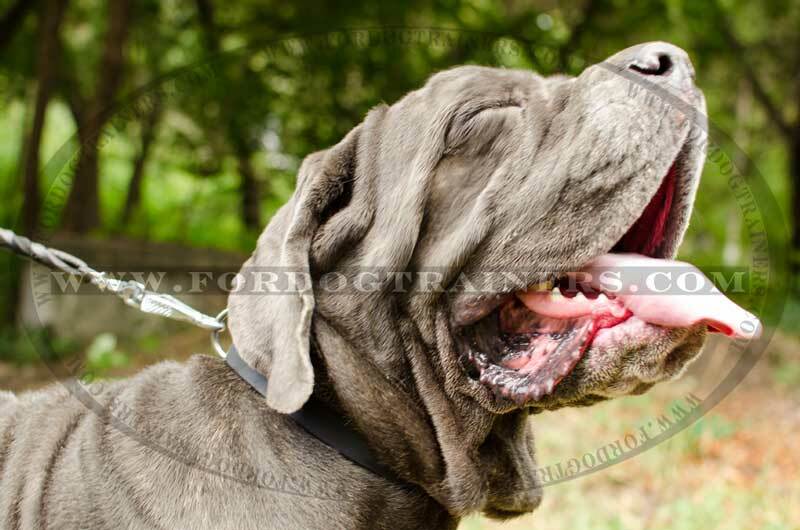 It's considered to be the most friendly material for dogs. The leather is very strong, so the Collar will serve your dog for many years. 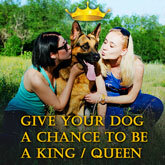 The leather is also soft, so your dog won't feel discomfort, when wearing this item. Due to the material, no allergies will appear. We named only several advantages of the material, but if you choose this Collar for your dog, you will see much more benefits. The hardware of the Collar is nickel-plated. It's done not only to add special silver look to the fittings, but also to make them timeproof and resistant towards corrosion. If you put the strap through the buckle properly and fix the tip, the Collar will be reliably secured on your dog's neck. Besides, the fittings are secured by rivets to hold forever.